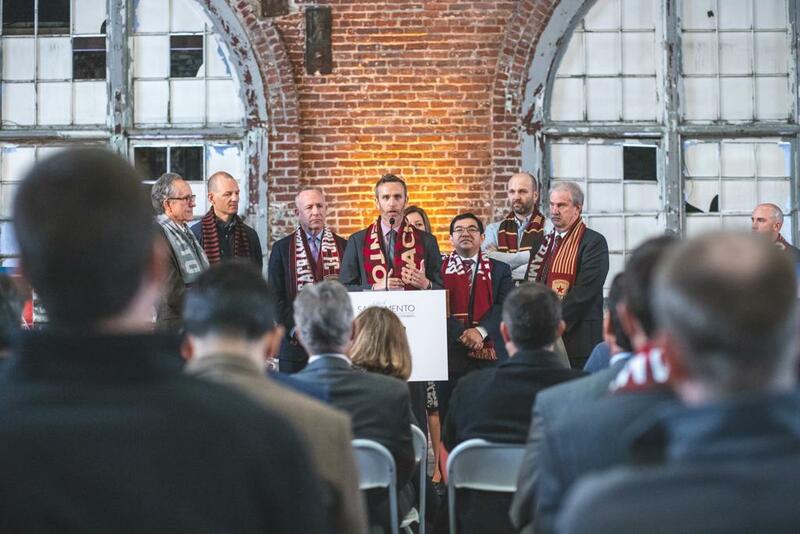 SACRAMENTO, Calif. (April 5, 2019) — Mayor Darrell Steinberg and the ownership group of Sacramento Republic FC Friday unveiled an agreement between the city and the team on the terms of building a new soccer stadium in the downtown Railyards. The preliminary term sheet for construction of a $252.2-million privately financed stadium in the Railyards will go to the Sacramento City Council for approval on Tuesday. The agreement is contingent on Sacramento Republic FC being awarded a Major League Soccer franchise. 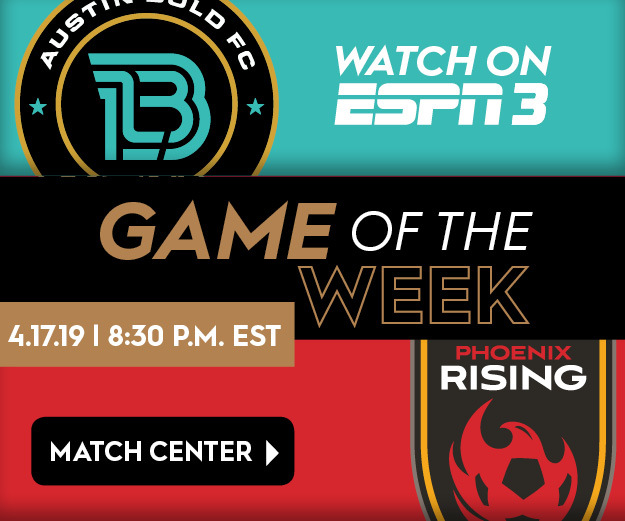 Mayor Steinberg noted that Republic FC, led by principal owner and investor Ron Burkle, also plans to develop 17 acres surrounding the stadium site, for a total private investment of nearly $1 billion. The team owners also have agreed to make donations of cash, time, equipment, tickets and facilities in Sacramento totaling at least $23 million over the term of the agreement. These include holding clinics for at least 1,000 youth in underserved neighborhoods every year, donating 100 tickets per game to local non-profits, building or upgrading public soccer fields and futsal courts every year, and donating $50,000 worth of equipment and gear to 500 kids each year. “When we look at the costs and benefits for our city in this agreement, the decision to support it is an easy one for me,” Mayor Steinberg said. “We are not writing a check, and the effort is being driven by private dollars. The next potential milestone comes later this month, when the MLS Board of Governors meets in Los Angeles. “We'd like to thank the Mayor, City Council and their teams for putting Sacramento in the best possible place to secure an expansion team that is hopefully announced after the April board meeting of the MLS,” said Burkle. “The owners and the Commissioner’s office have acknowledged that Sacramento is 100 percent ready. Everyone has worked hard, and we are ready." An enhanced infrastructure financing district, permitted under state law, will allow the Republic FC investor group to capture a portion of the property tax growth caused by development of the site. The money will be used to reimburse the owners for some of the estimated $27.2 million they are expected to spend to install streets, traffic signals, utilities and other needed public infrastructure on the site. City staff will work with the investors to secure planning approvals for five digital billboards in yet-to-be-determined locations. The City will provide city services such as police, traffic control, fire prevention, trash removal etc. for soccer events for 10 years, with a spending cap of $300,000 a year. Sacramento Republic FC will agree to a 35-year non-relocation clause and will privately finance the stadium and surrounding development. The City will absorb building permit and inspection fees for the stadium and reimburse the investor group for its permit-related construction excise tax and use-taxes related to stadium construction. Sacramento Republic FC will agree to implement a local hiring program for the construction of the new stadium. The investor group will consider, in good faith, locating its training complex in the City of Sacramento. If it builds such a facility within two years, City staff agrees to present to Council plans for a sixth digital billboard.